a chemical reaction will try to take place. 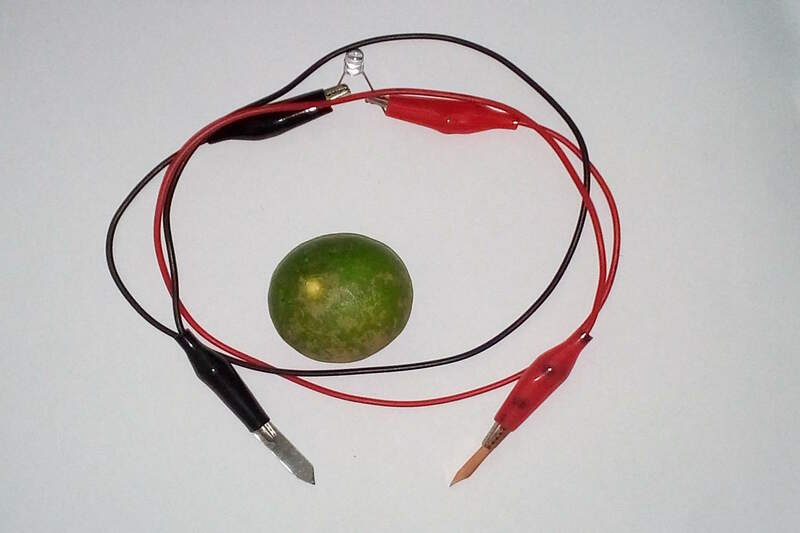 these electrons can flow around the circuit and reduce copper ions in the fruit. The energy released is what light the LED light. 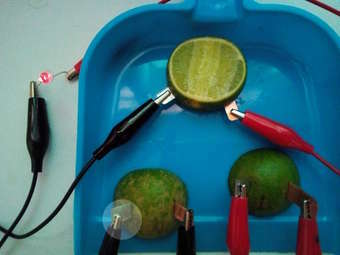 1) An item of acidic fruit, citrus fruits,lemons, apples etc. 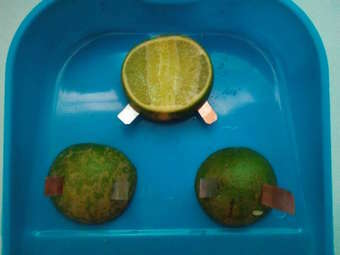 Cut the lemon into 3 pieces. 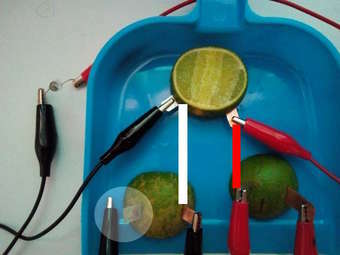 Push the zinc object and copper object into the lemon. String 3 cells together, connect zinc plate to copper plate. The LED will lights up. Make it your way and Share!